A Cu-Pb-Zn-Ag-Au mine owned by ASARCO (80%). 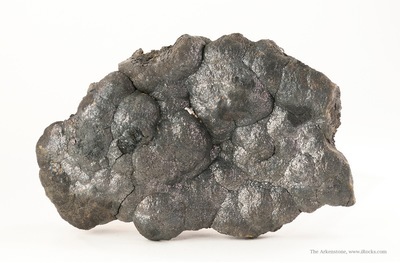 1984 production was 358,000 tons/ore (2,400 tons Cu; 3,500 tons Pb; 10,000 tons Zn; 55,200 kg Ag & 78 kg Au). 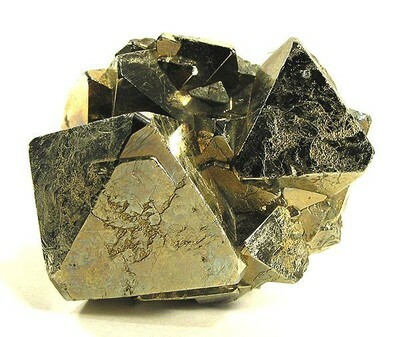 Known for excellent specimens of orpiment, enargite, hutchinsonite, and pyrite. Mesothermal and epithermal Cu-Pb-Zn ore mineralisations in an area of andesitic and basaltic volcanics. 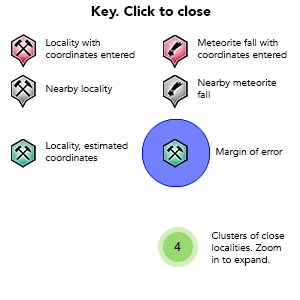 Four distinct zones can be recognized. 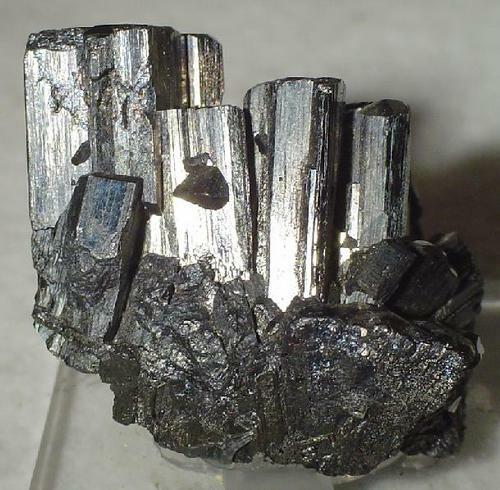 From the center, they are the enargite zone, a transition zone, the Pb-​Zn and the stibnite zone. 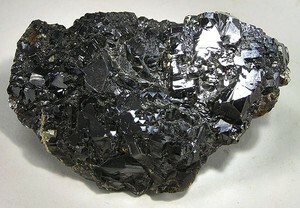 Alteration includes chloritization, propylitization, argillization, and silicification. 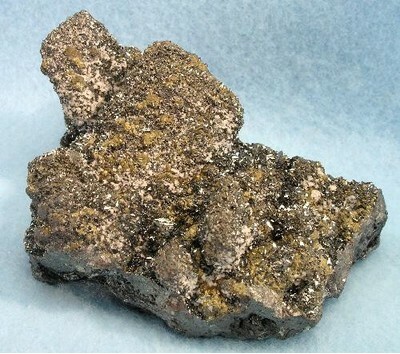 Description: The crust was very difficult to x-ray and Baumhaurite 2a was the best guess. 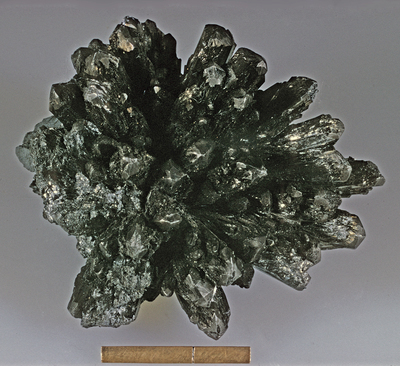 Reference: Robinson, G. W., Harris, D. C. (1987): A baumhauerite-like mineral from Quiruvilca, Peru. 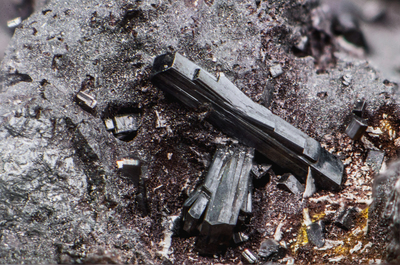 Mineralogical Record 18, 199-201.; Crowley, J.A., Currier, R.H. & Szenics, T. (1997): Mines and Minerals of Peru. 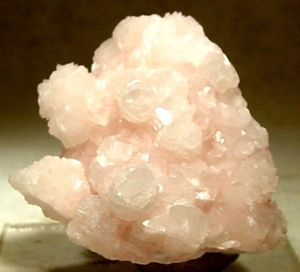 Mineralogical Record 28, 1-98. Reference: Min.Rec. 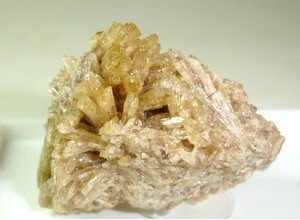 28, #4 (1997); Hyrsl & Rosales (2003) Mineralogical Record, 34, 241-254. Reference: Burkart-Baumann, I.; Ottemann, J. 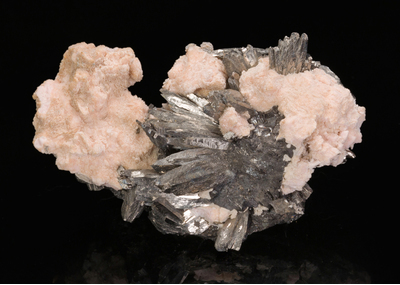 (1972): Low temperature sulfides from Quiruvilca, Peru. 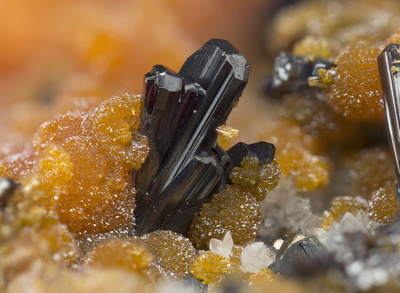 Neues Jahrbuch für Mineralogie, Monatshefte 1972, 541-551 (in German). ; Min.Rec. 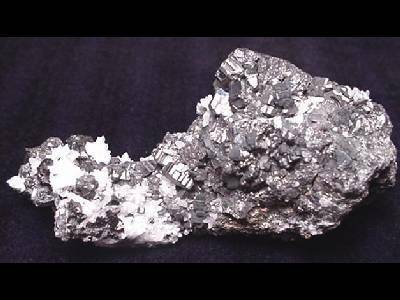 28, #4 (1997); Hyrsl & Rosales (2003) Mineralogical Record, 34, 241-254. Description: The trillings form a six pointed star. 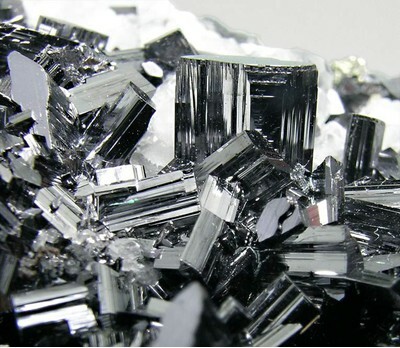 There is also an epitaxy of twinned tetrahedrites or tennantites on the large prisms. Sometimes this epitaxy entirely encloses the enargites and these are wrongly labeled pseudomorphs. Reference: Burkart-Baumann, I.; Ottemann, J. 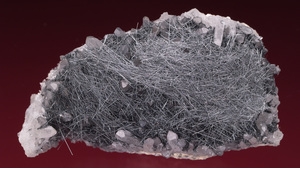 (1972): Low temperature sulfides from Quiruvilca, Peru. 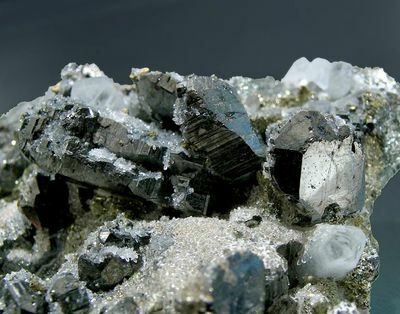 Neues Jahrbuch für Mineralogie, Monatshefte 1972, 541-551 (in German). 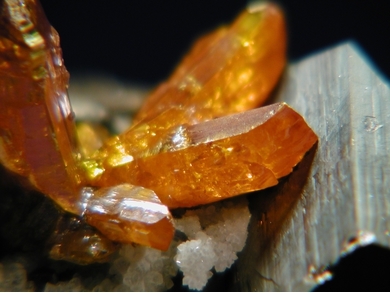 ; Hyrsl & Rosales (2003) Mineralogical Record, 34, 241-254. Reference: Burkart-Baumann, I.; Ottemann, J. 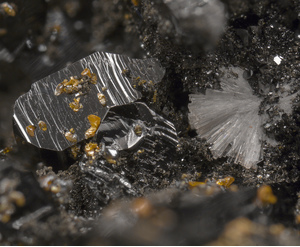 (1972): Low temperature sulfides from Quiruvilca, Peru. Neues Jahrbuch für Mineralogie, Monatshefte 1972, 541-551 (in German). 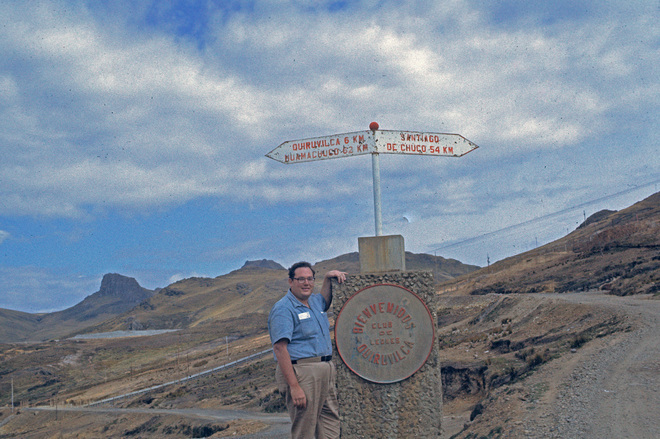 Lewis, R.W., Jr. (1956) The geology and ore deposits of the Quiruvilca District, Peru. Economic Geology 51, 41-63. 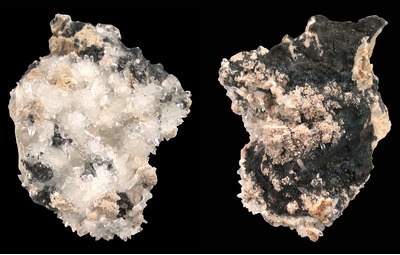 Burkart-Baumann, I. and Ottemann, J. 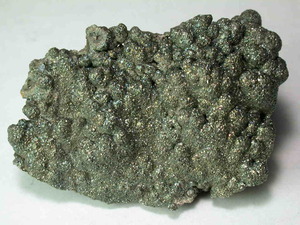 (1972) Low temperature sulfides from Quiruvilca, Peru. 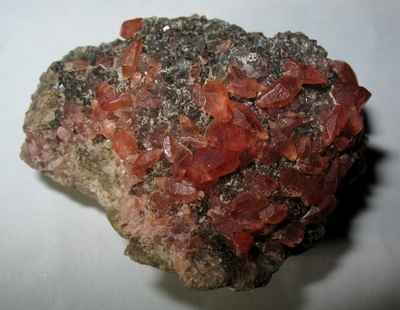 Neues Jahrbuch für Mineralogie, Monatshefte 1972, 541-551 (in German). Mining Annual Review (1985) 323. Bartos, P.J. 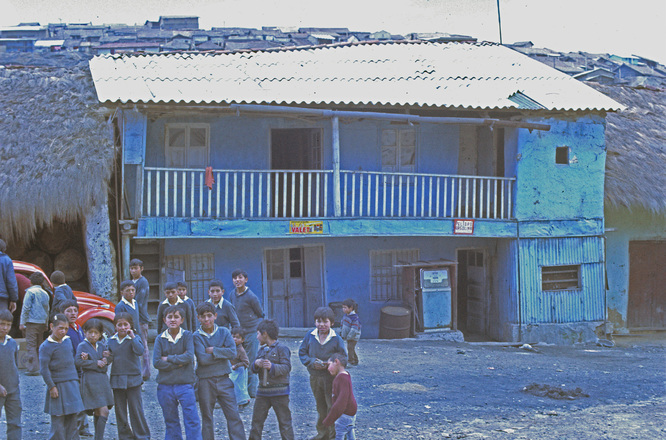 (1987) Quiruvilca, Peru: Mineral zoning and timing of wall-​rock alteration relative to copper-​lead-​zinc-​silver vein-​fill deposition. Economic Geology 82, 1431-1452. 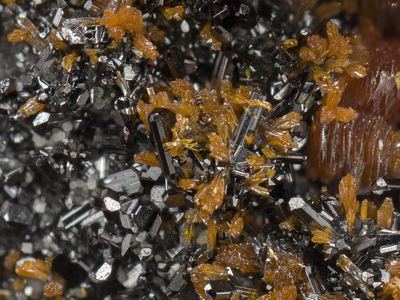 Robinson, G. W. and Harris, D. C. (1987) A baumhauerite-like mineral from Quiruvilca, Peru. 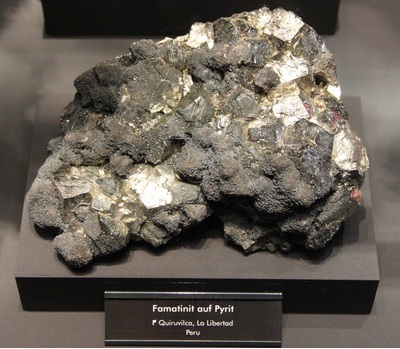 Mineralogical Record 18, 199-201. 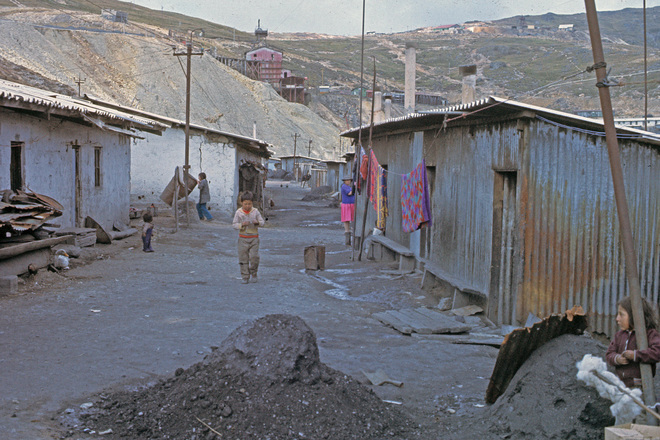 Crowley, J.A., Currier, R.H., and Szenics, T. (1997) Mines and Minerals of Peru. 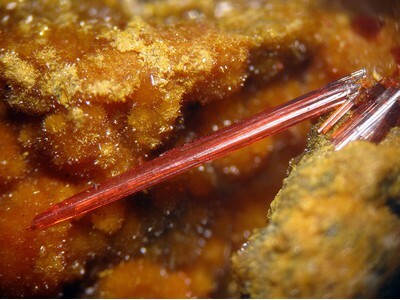 Mineralogical Record 28, 1-98. 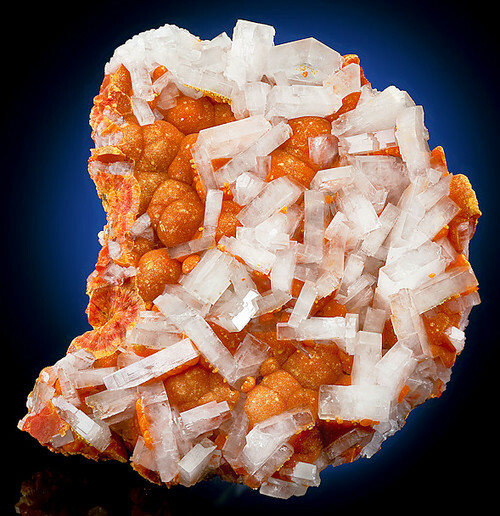 Hyrsl and Rosales (2003) Mineralogical Record: 34: 241-254.